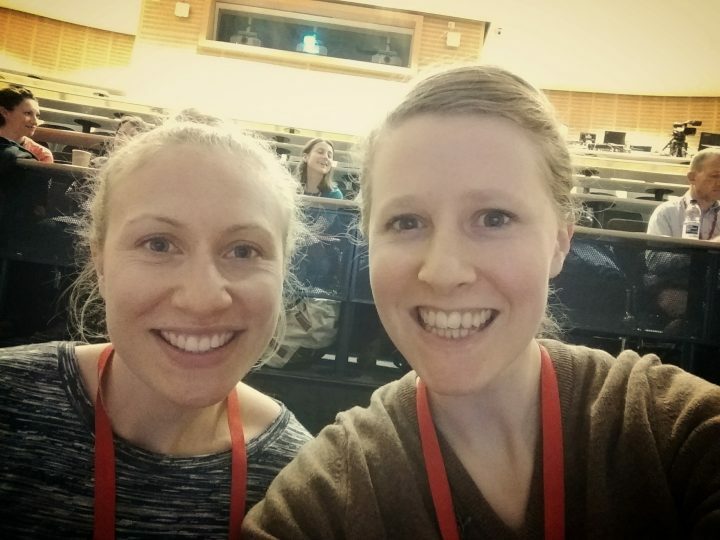 Our BRIGHTLIGHT leader, Rachel, is a member of the RCN Research Society and is on the International Research Conference Steering Committee so she’s been every year and presents our work (if it’s accepted!) As I’m coming to the end of my PhD she thought it would be a good place for me to present my research and network with other research active nurses. The week was full of an inspiring and diverse array of presentations from all aspects of nursing. The really enjoyable part of this conference was learning from different fields of nursing research. It reminded me that we have a tendency to work in our ‘silos’: as a BRIGHTLIGHT researcher I am fully immersed in the world of teenage and young adult cancer. There is however so much to discover and ideas and knowledge to acquire from other nursing disciplines and specialisms. The RCN research conference was a great forum in which to do this. I had the opportunity to share my work with a group of research active nurses, all from very different backgrounds, and presented an aspect of my doctoral work on age-appropriate care for teenagers and young adults with cancer in one of the parallel sessions. Presenting work to an audience who are less (or not at all) familiar with the services and patient population that you are describing was an exciting and valuable challenge, and the feedback was very useful and welcome. There were several sessions where the focus was on clinical academic careers and how we can perpetuate and drive a research culture within ever increasingly strained clinical areas. This is an ongoing challenge in nursing where the workforce is already under such sustained pressure, and a conversation that I always feel personally attached to from my background as a clinical academic nurse. I believe it is not just about us unpicking the practicalities of facilitating clinical academic careers but it is also about igniting the passion among a busy and burnt out clinical nursing workforce to get inspired to get involved in research, at any and all levels. I also thoroughly enjoyed one of the fringe sessions, run by Professor Philip Darbyshire, about becoming a “research rock-star without behaving like one”. The session provided great (and entertaining!) insights into building a research persona and profile, with the aid of social media, and included tips and tricks to managing this successfully. It was thought-provoking for someone in my shoes, and will influence the way I develop and manage my personal research profile as I move through these early stages of my research career. I attended the PhD/early career researcher social on the Tuesday evening of the conference and thoroughly enjoyed mingling and chatting with others in a similar position to me, or those post-PhD who were further down the road. We shared words of encouragement, our experiences, stories, wisdom and wine! It was a great evening, and such opportunities to sit down with other nurses who are undertaking/have completed PhDs is rare but invaluable – I would highly recommend other nurses who are undertaking PhDs come and get involved next year. 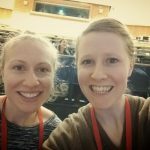 Enjoying the conference with a fellow PhD student! This was a conference which instilled my pride to call myself a nurse; a nurse that undertakes research that has impact, is benefitting nursing practice and ultimately improving patient outcomes. I look forward to seeing you all in Sheffield next year!